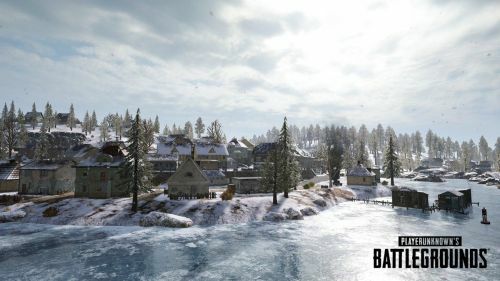 The company behind PlayerUnknown's Battlegrounds announced that 21 December 2018 PTS update will include the new PUBG Map Vikendi snow map along with a slew of bug fixes. The PTS (Public Test Server) is a dedicated free server for people who own a copy of PUBG and is the place where one could test the upcoming features in the game, which will ultimately, help the company fix any critical issues before the actual launch. Additionally, all the statistics and player data from the Test Server will not carry over to the Live Server account. The Vikendi snow map is a brand-new map in PUBG, which has already seen the light of the day in the mobile version of the game. The PC version of PUBG features the map on Test Servers, and now, the PlayStation 4 also features Vikendi on PTS. The December 21 update introduced the highly-anticipated PUBG snow map to PlayStation 4's Test Servers. The new 6 km X 6 km map is smaller than Erangel and Miramar but is larger than Sanhok, offering players a completely different tactical experience. Furthermore, the map allows the players the movements if their opponents' movements via temporarily-visible footprints and vehicle tracks. Get all the latest PS4 News on Sportskeeda. The Vikendi map will also introduce G63C assault rifle - an exclusive, and a snowmobile, which offers better handling on snow-covered terrain when compared to other vehicles present on the map. The company behind the franchise also teased the arrival of a new sidearm - the Skorpion, which chambers 9mm ammo in 20-round magazines. Also, this update fixes numerous bugs for a smoother gameplay experience. With the map now on PTS, the company behind the franchise would have enough data before the actual launch in January 2019 to avoid any unwarranted hiccups on the launch date. Moreover, it will also give the players a guide on what to expect from the new map. Apart from PlayStation 4, PUBG is available for Xbox One, PC, iOS and Android devices.